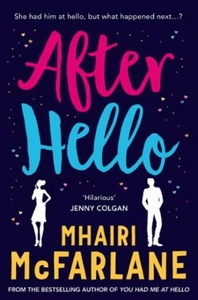 A short story sequel to the bestselling romcom You Had Me At Hello! In You Had Me At Hello, the one who got away came back... but what happened next? Together, apart and then back together again, Rachel and Ben had a rollercoaster ride to get here. But now happily in love and partners in crime once more, it feels like it's all been worth it. But when a face from the past reappears, misunderstandings come between them once more. Can they hold on to their happy ever after?